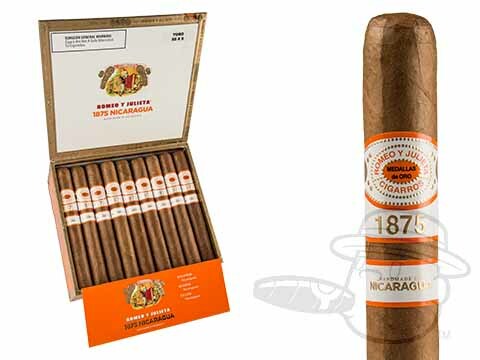 Handmade in Esteli by the Plasencia family, Romeo y Julieta 1875 Nicaragua cigars bring an exciting new profile to one of America’s most beloved brands. 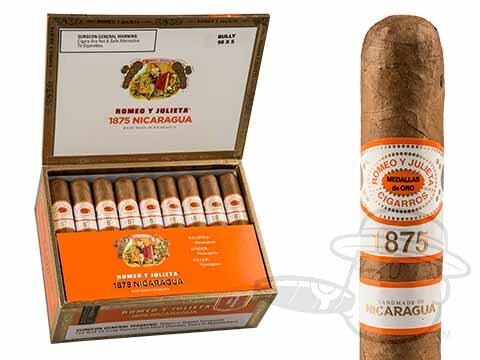 Crafted using 100% Nicaraguan Habano tobaccos, the Romeo y Julieta 1875 Nicaragua delivers a rich and complex smoke with the immaculate balance that Romeo is known for. 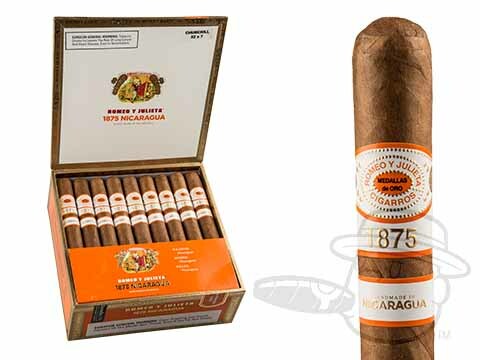 Tones of oak, leather, nuts and spice come together in hearty harmony, making the 1875 Nicaragua a smoke to remember. 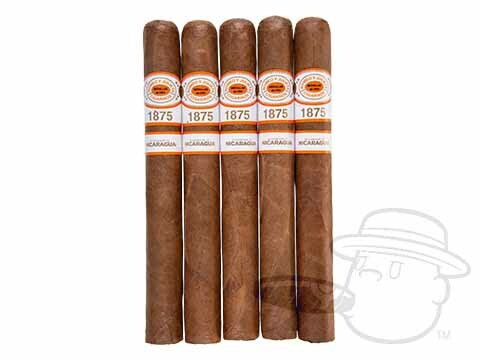 Medium in body and undeniably full in enchanting rich taste, the Romeo y Julieta 1875 Nicaragua is sure to re-invigorate any humidor selection. 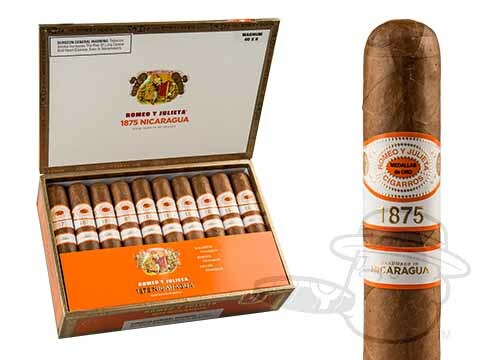 Add it to yours at the lowest possible prices now.